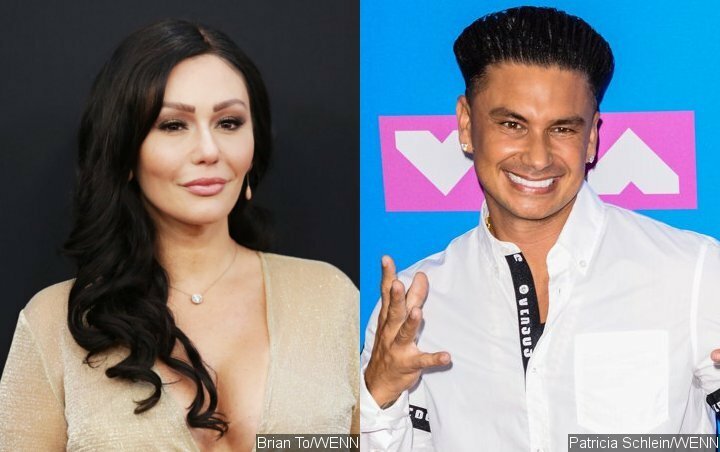 People are romantically linking the ‘Jersey Shore’ stars to each other again after Pauly D threw a birthday party for JWoww as she’s going through divorce with Roger Mathews. Does old flame spark again between JWoww and DJ Pauly D? The two reality TV stars, who used to hook up during the filming of season 1 of their MTV show “Jersey Shore“, are rumored to be dating again after Pauly D threw his friend and co-star a birthday party earlier this month. The two reality TV stars may have not addressed the rumors directly, but a source close to JWoww has debunked the reports. “JWoww and Pauly D find it comical that a story came out about them dating. They are both laughing over the fact that people are romantically linking them together again,” the source tells HollywoodLife.com. “She’s so focused on her skincare line Naturally Woww and her kids,” the source continues of JWoww, whose real name is Jennifer Lynn Farley. Meanwhile, Pauly a.k.a. Paul D. DelVecchio Jr. “is getting ready to do a dating show with BFF Vinny (Guadagnino), too,” according to the source. The dating rumors spark as JWoww is going through divorce with her estranged husband Roger Mathews. They split in September 2018 after almost three years of marriage. They have two children, 4-year-old daughter Meilani and 2-year-old son Greyson.